Clash of Clans is a very popular strategy game with thousands of players battling it out every single day. With such a huge fanbase and gaming community it is important for the game makers (Supercell) to keep up with updates. Without updates, glitches won’t be fixed, changes won’t be made, and players will stop playing in annoyance and frustrations. When will Clash of Clans next update happen? Because of the importance of updates, Supercell regularly updates Clash of Clans. How Often Does Supercell Update Clash of Clans? Supercell updates Clash of Clans pretty regularly. They aim for a new update every month. They have kept up with this promise and even added several extra updates when a big problem popped up. Updates usually occur at the beginning of the month, within the first ten days, but sometimes might appear later if the update is pretty big with lots of bells and whistles to add. Supercell always announces the update on the official blog. There you can also find out what is in the update. When you update the game, you aren’t always given many details about it so going to the blog for more information is always a good idea. What To Expect in Clash of Clans Updates? Holiday updates:Clash of Clans loves to bring in the holidays during updates. During Christmas or Halloween, the game will include holiday themes and other fun holiday features. You will also often find special holiday themed spells that are only available during the month of that holiday. New spells and troops:Battles require you to use troops of different monster or people that you train to fight. Each troop has its own special abilities, life, and defense. Supercell will sometimes add new spells and troops during an update just to keep things interesting. You will have to train the new troops to decide if you like them or not. 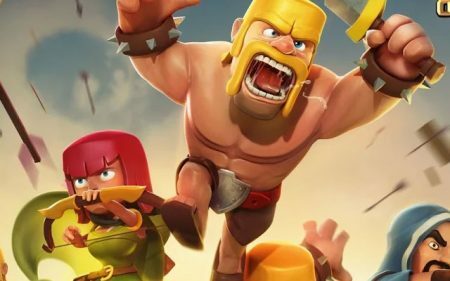 New buildings and decorations:Just like spells and troops, Clash of Clans requires you to use building to perform different asks in the game. Some train troops while others produce resources. Some even protect your town from attackers. They are all very important and Supercell likes to add new ones during updates to shake things up. Balancing:Balancing is very important when it comes to updates to the game. This is when Supercell fixes any unfairness with spells, troops, or buildings. This might include lowering the level or troops that are too powerful or raising the level of weaker troops so people will start using them. It is a way to keep the game fair and even across the board. The game makers don’t know what needs to be balanced until it had been used for a while in the game. When they spot inadequacies, they get fixed in the next update. New features:New features include any new battles or any fun thing you can do in the game. For example, Clash of Clans added the Friendly War feature that allows two clans to battle using custom rules. Other new features include different challenges and tournaments. Fun Tidbits and offers:Sometimes the game makers will offer fun extras or deal separate from actual game play. For example, for a limited time players could purchase Red gems to support AIDS research. If you bought the gems all proceeds went to the AIDS foundation. These special offers only last a short while and then go away but are included in updates. As long as you have your device set to allow updates then you will receive the new ones automatically every month. Automatically updating apps is the easiest way to guarantee you receive them but it can use up mobile data. Also, automatic updates will update every app you have, even if it is one you don’t use often, and that takes up precious space on the device. You can turn auto updates off and on within your device. This works for both iOS and Android devices. Decide which one works best for you and then follow the steps below to turn auto updates on your off. How to turn automatic updates on or off in iOS:Go to the “settings” on your device. Scroll down until you see “iTunes & App Store.” Tap this and then “update.” Here you see a list of downloads in the app store (music, games, etc). Move the slider next to “updates” to turn automatic updates on or off. This is for updates for every app on your device. You can also set these updates to only download when you are using wifi if you are worried about using your mobile data. How to turn automatic updates on or off in Android: In Android you have to change settings in the Google Play Store. Open the Play Store and then tap on the menu button on the top left of the screen. It looks like three little lines. Choose settings from the list and then tap “Auto update apps.” Here you can choose to manually update apps (which means turn off auto updates), automatically update, and update over wifi only. Chose the option you want and then exit out of the Play Store. If you choose to manually update Clash of Clans you will often been told when you load the game that there is an update available. Choose to update and you will be taken to the app store to download the update. If this doesn’t happen, just go to the app store on your device, navigate to Clash of Clans, and perform the update from there. You can also find Clash of Clans under your downloaded apps under your account in your app store. When will Clash of Clans next update happen? If it is just the beginning of a new month then it will arrive very soon. If it is later in the month, it is most likely already available. Check your updates in your app store or load up the game to see if an app is available. Clash of Clans is very popular so Supercell tries to keep up with updates regularly. Learn when you’ll see new game updates and what expect when they arrive.